While all of our stock items can be fully personalized with your graphics, sometimes you need a little something extra. At Premiums Plus we can help you create a fully custom promotional item that is sure to keep your business top of mind. As an experienced manufacturer we are able to combine almost any material, adhesive and shape to create a unique and memorable add-on. Learn more about our Custom Products and how we can help you by visiting the Idea Center. 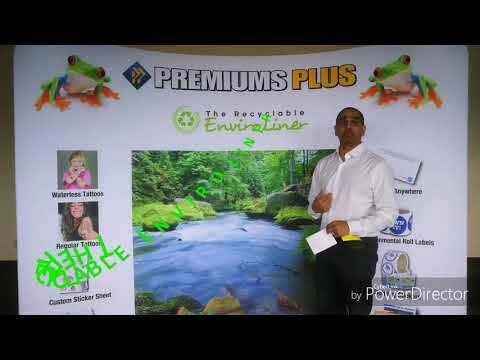 What is the Enviroliner? It's the first label liner (backing) in the world that is 100% recyclable. Traditionally, label liners have been unrecyclable because they are coated in large amounts of silicone. The Recyclable Enviroliner is made is 100% recycled paper and can be recycled in local recycling facilities.